Express your feelings with eggs! You could say "I love you" with a diamond ring or flowers, but why be like everybody else? 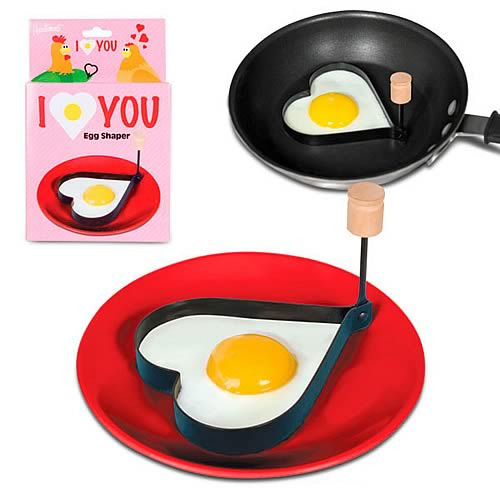 This egg shaper turns a bland breakfast into a heart-shaped bundle of cholesterol that expresses exactly how you really feel. Each Teflon-coated egg shaper produces perfect heart-shaped fried eggs, pancakes, toast or cookies. It even has a handy wooden handle that flips down for easy storage. Perfect for breakfast in bed. Illustrated box. Order yours today!